Home » Hostinger VPS Review (2018): Is the VPS Any Good? Hostinger VPS Review (2018): Is the VPS Any Good? There comes a moment for every online business when it becomes too big for a standard shared hosting starter pack. The natural progression for most entrepreneurs is a Virtual Private Servers which, if configured correctly, can easily host a site receiving 100s or even 1000s visitors on a daily basis. Naturally, to achieve such a spectacular performance, it needs to be hosted with a quality provider. 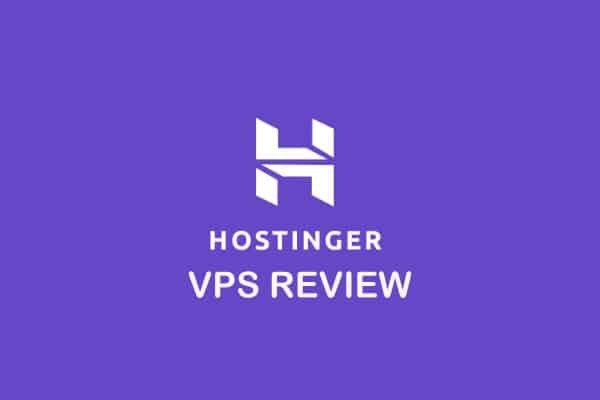 In this Hostinger review, I will look into the offer of one of the most popular VPS companies to see if it’s really that affordable and fast as they claim. 1 What Makes Hostinger so Popular? 3 Hostinger VPS – CentOS, Ubuntu, Fedora and More! 6 Support – Is There Someone to Help You Out? 7 Hostinger VPS Pros – What Makes It Stand Out? 12 Main Cons – What’s Not so Impressing about Their Offer? What Makes Hostinger so Popular? One of the keys to the Hostinger success is their great price to features ratio. Simply speaking, their hosting tiers are more generous than that of their competitors. And the numbers speak for themselves – every day, over 20,000 new clients decide to host with Hostinger, making it one of the fastest growing companies in the market. So how does their VPS offer look like in details? As of now, the company offers six different pricing tiers. Thanks to that, they can aim their offer at both beginners who are just getting their feet wet in the virtual private servers’ environment and small to medium businesses which need an affordable but reliable way to control the growing number of visitors and occasional traffic spikes. 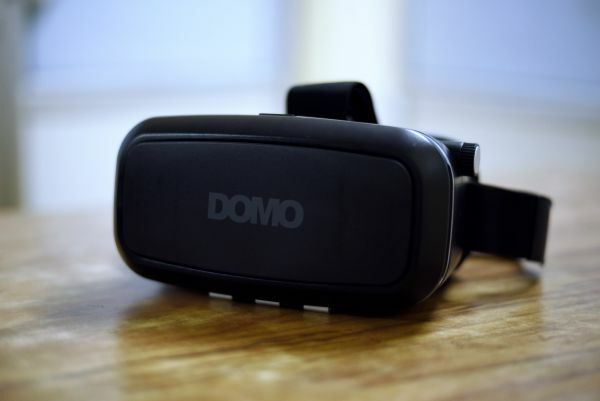 The discounted prices range from $4.99 for the basic tier with 1GB RAM and 20GB storage all the way to an 8GB RAM and 160GB storage tier at $65.56 per month. Naturally, as the below prices are discounted, you will have to pay slightly more once you renew. Luckily, they are very upfront about the difference in pricing after the promotional period ends. You can easily notice the new price right in the first step of the checkout. So how do the before and after discount prices compare? As you can see in the below table, the differences are quite small – especially in the upper tiers. But, the great thing is that if you sign up for a 48-month period, you can enjoy the super low price for a very long time – and save a very handsome sum of money in the process. But what surprises me the most in their pricing is that even the standard price is much lower than that of many other hosting providers – in the end, it’s not easy to find reliable VPS packages starting at $9.95. Hostinger VPS – CentOS, Ubuntu, Fedora and More! If you’re a beginner to this whole VPS thing, you can probably skip this paragraph. But, if you like to play with the technical side of your server, you will appreciate the high number of operating system templates available to choose from. A server could have 100GB RAM and unlimited disk space – but if it doesn’t deliver, all that great technical specs don’t matter a thing. To ensure that this Hostinger VPS review is as objective as possible, I’ve tested their VPS with two different tools. This allows me to compare results and see whether they are really as good as they advertise. Luckily for them, both of my tests show excellent response time from different locations around the world. The first test rated their performance A+ which is the highest score possible. The numbers in the second test were quite similar. This is critical if you want to provide your website visitors with top-notch user experience. When it comes to performance, if you pick Hostinger, you have nothing to worry about. And what about the reliability? Hostinger offers industry standard SLA (Service Level Agreement) Uptime Guarantee of 99.9%. This is neither bad nor good – just something I consider a standard number, decent enough to call it a reliable host. But what does it mean in practice? Take a look at the below numbers. 99.9% Uptime Guarantee means that your website can go down for just up to 1 minute and 26 seconds every day (on average) before they have to compensate you for the downtime. Naturally, that doesn’t mean your site will be down for 1 minute every day – so you have nothing to worry about. Support – Is There Someone to Help You Out? When it comes to Hostinger support, it’s important to keep in mind that their VPS is an unmanaged one. This means that technically, they don’t have to offer you any support at all other than keeping your server online. Surprisingly, they promise to deliver better customer service experience even to those who are in the unmanaged VPS plans. And, considering they have a dedicated Live Chat support team, available 24/7/365, there’s always someone just a few clicks away ready to answer your questions. Hostinger VPS Pros – What Makes It Stand Out? Knowing the reliability and performance, let’s quickly overview some of the other important advantages of Hostigner. Why smart? Because, in my opinion, they offer an excellent level of scalability. 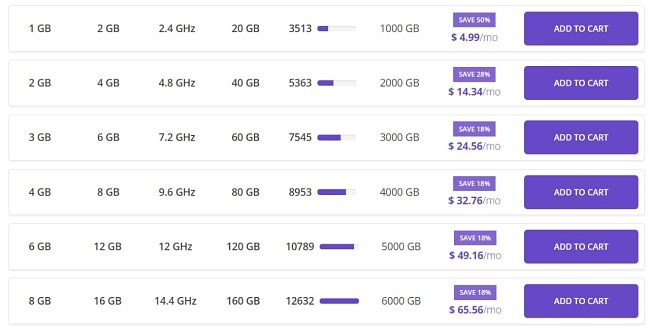 Because all of the critical resources such as RAM, storage and CPU Power are distributed evenly and the price difference is just a few dollars per tier, it’s very easy to move up or down any time you need. But, what’s even better is their “Burst RAM” offer. What’s that? All businesses experience periods of increased traffic and resource usage. If you know when they happen, instead of having to upgrade your hosting right away, you can just activate Burst RAM, which can double your allocated memory for a set period of time! While I have already mentioned their excellent support offer for an unmanaged VPS, I wanted to point out one other interesting thing – their tutorials portal. While the support can help you with the server -related stuff, they won’t help you with things like managing your WordPress website (this is true for any VPS hosting). 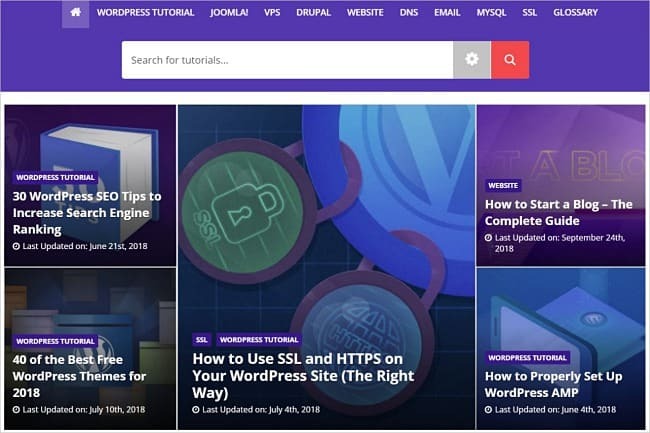 Fortunately, they have a whole library dedicated to helping you understand all the most important aspects of online sites – by offering you tutorials on WordPress, DNS, MYSQL, SSL and, of course, VPS. Of course, you can read all the reviews you want – but, in the end, the most important thing is the practical experience. 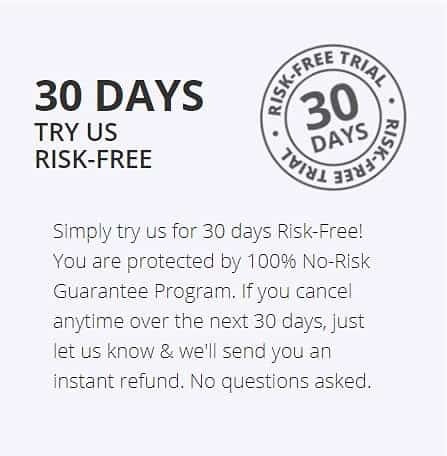 That’s why Hostinger offers a 30-day risk-free trial. The only slight drawback is that you have to pay for your hosting up front – but you can ask for a refund anytime within the first 30 days – no questions asked. No matter if you paid the standard or discounted price, all your money will be refunded. One thing that may be responsible for great Hostinger performance test results is their policy of never overselling VPS servers. This means that if their physical server has 128GB RAM, you’re 100% guaranteed to get part of it available exclusively for you – with no periodic need to share the allocated RAM or CPU with others, as it sometimes happens on other platforms. Main Cons – What’s Not so Impressing about Their Offer? Sadly, I am yet to find a hosting company that would have no slight disadvantages in their offer. In the end, excelling in one area forces many of them to slack in other, less important ones. As you might have noticed so far, I’m quite impressed by what they offer for a very affordable price. 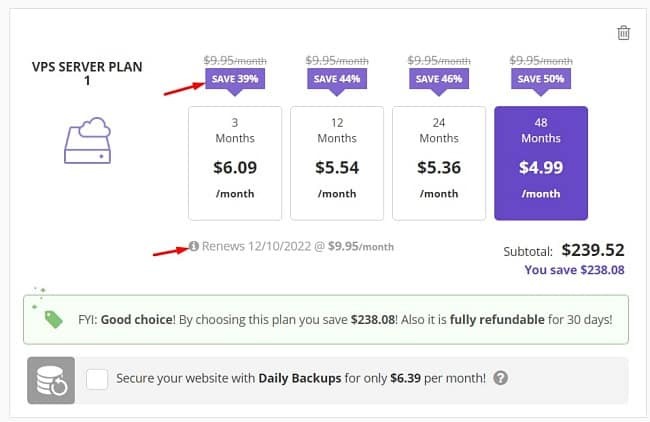 Unfortunately, I’m not a big fan of upsells – especially if they apply to automated daily backups. But, if you don’t want to add any extra costs to your monthly expenditures, you can always configure backups manually yourself. Moving from a shared environment to an unmanaged VPS hosting is a big step for many online entrepreneurs. Unless you have some technical skills or can afford to hire someone to set it up for you, you want the process to be as easy as possible. Because of that, I think that certain presented features on their site could be overwhelming for some customers – such as all the CentOS versions listed one after the other. But, it’s a minor thing, which is a huge advantage for advanced users. What started as a bootstrapped project in 2004, grew to become one of the leaders in its industry. And it’s no surprise – Hostinger’s top-notch performance and well-designed VPS pricing plans make their offer an obvious choice for every business that needs a reliable host they can easily scale as their business grows. If you want to have a full control over your hosting environment, go to Hostinger website to learn more details about their VPS offer and sign up to give their hosting a 30-day test ride. 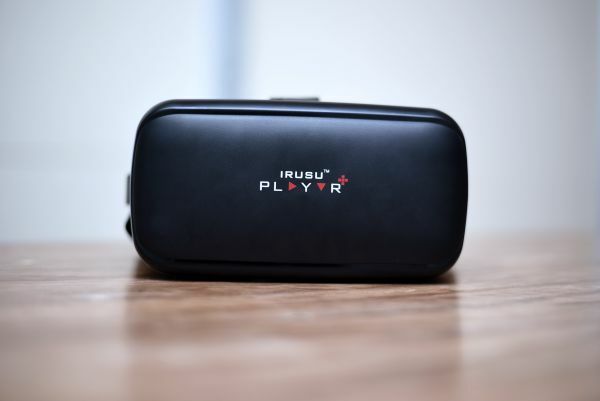 Irusu Play VR Plus Honest Review (2018) – Is it The Best Budget VR Headset in India?